I know. I disappeared again. There were a couple of deaths in my extended social circle and my computer died. I haven’t quite figured out WordPress on the iPad yet. I’m squeezing time on the computer at work. It is very strange to be without my computer at home. I hadn’t realized how much time I spent at it even if I wasn’t directly interacting with it. I reach for it constantly to look something up or confirm a thought I’ve had, or even to figure out how to spell a word. I’m definitely not ready to go to tablet only computing. The other thing that’s taking up my time right now is NaNoWriMo. For those not in the know that stands for National Novel Writing Month. The goal is to write a 50,000 word novel over the month of November. That works out to 1,667 words per day. There’s great community support. Each region has a Municipal Liaison who helps to set up events and cheer people on. Birmingham is currently in a battle with Delaware and Southampton, England to see which area can be the most prolific. Southampton is currently in the lead. I’m doing pretty well so far. I’m staying on target as far as my word count goes, so that’s awesome. This is the first year I’ve made it this far. Usually I loose my momentum after about 10,000 words. My 100 in 2012 book challenge is going well. I just finished my 96th book last night. I don’t think I’ll get through all the reviews before the end of the year, but I’ll post the full list as soon as I finish. In the meantime, here are a few more books from the list. This is the second book in what I believe is going to be an ongoing series. The first book was called Mr. Churchill’s Secretary and chronicled the journey of Maggie Hope, a half-English/half-American mathematician in London in the early days of WWII. Maggie has come to England to handle the sale of her grandmother’s house, but ends up becoming one of the secretaries to Prime Minister Churchill. There is much intrigue and adventure, which I won’t get into here as it might spoil the book. 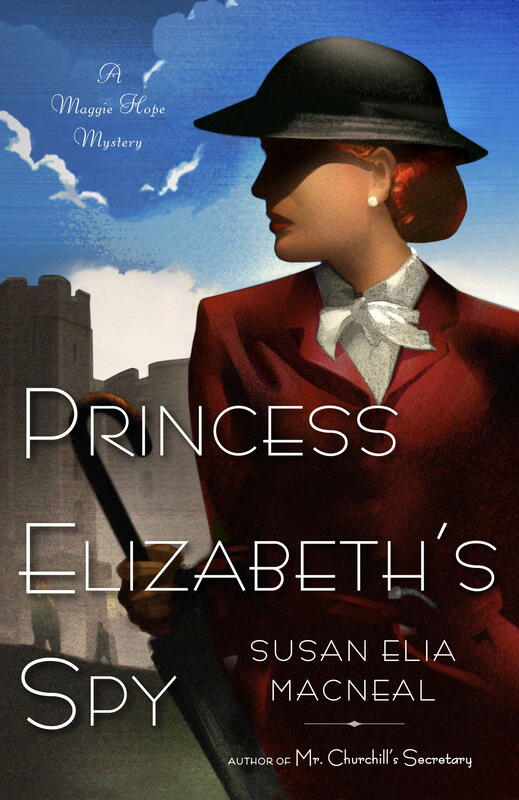 Princess Elizabeth’s Spy picks up some time after the end of the first book. Maggie is in training to become an undercover agent in the hopes of being dropped into France. However, her physical skills are a bit underwhelming and so she is reassigned as the personal bodyguard to the crown princess. The royal family has taken residence in Windsor Castle. Maggie is placed in the household as the princess’s new maths tutor. All is not well at the castle. The Duke and Duchess of Windsor are in exile and known to have Nazi sympathies. A member of the staff at Bletchley Park, England’s code breaking facility, as been murdered. Another death occurs on the castle grounds. Maggie has to figure out how all of this might be connected with a plot against the princess. On top of that, her boyfriend is missing in action and her father is a suspected German spy. This was a fun read. I need to go back and read the first book and get introduced to Maggie. I would recommend that you read them in order. There were some subplots that I missed out on because I read them out of order. WWII isn’t really my period. I’m a huge WWI fan, but I don’t venture into WWII stories as often. I did however, watch The King’s Speech. There was something about having seen that before I read this book that added a layer of richness. Princess Elizabeth is only in the film for a minute or two, but seeing her for that brief moment there made me more sympathetic to the fourteen-year-old Lilibet. The book would be perfectly entertaining without that extra layer, but it’s nice that I had it. This was an awesome book. Mostly because it told me all about an awesome movie. I don’t really have a ton to say about it other than that. If you’re interested in finding out about the process behind a stop motion film then this book is really informative. 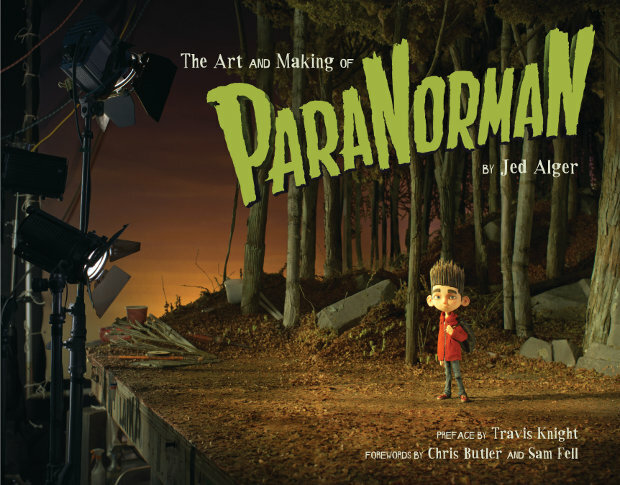 If you’re interested in the people and personalities behind ParaNorman, then this is the book for you. If you like miniature anything, pick this book up. Also, if you just like cool visuals.